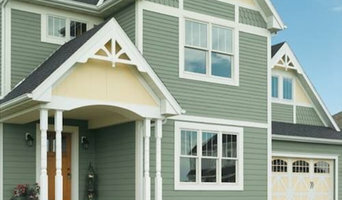 We are the northern Vermont area's premier siding, window, door and patio room specialists. We can make your house much more comfortable, whether it is from the intense heat of summer or the severe cold of our northeast winters. Along with the increased appeal of your house you will also enjoy an increase in beneficial insulation, energy efficiency and value. We are fully insured and guarantee our work. We also gladly provide FREE ESTIMATES and consultation! Roy's New View Inc. is capable of doing both large and small jobs. One window for our residential customers or one hundred windows for our commercial customers, we will give you a quote that is both reasonable and accurate! Whether you require windows, doors, siding or patio rooms we will have the right solution to fit your budget. Over the years we have established a large base of satisfied customers who have done business with us. You can read some of the comments about our quality, character and integrity here on our testimonials page. We get the job done right the first time with a quality that is sure to please! When you see our sign at a work site you can rest assured that we are providing the right product, the right quality, the right features at the right price to fit your needs. Family owned and operated for over 25 years. Adirondack Molding & Millworks offers you a fine selection of Windows (vinyl and wood), Doors (exterior, patio, storm, & interior, metal, fiberglass, wood), Sidings and Accessories (vinyl and wood), Cabinets, Complete selection of lumber (oak, maple, poplar, cherry, pine, red cedar, & white cedar), Complete stair systems, Floorings (pre-finished, oak, maple, cherry, unfinished, yellow pine, red pine & spruce), Custom moldings (any size, any profile, interior, & exterior), Garage Doors & Roofs. Please stop in and let us help with your project today! If looking at all the different styles, materials, types and sizes of doors makes you feel like you’re lost in a labyrinth of locked doors, then don’t despair; Burlington, VT door manufacturers and door suppliers are available on Houzz to help design, build and install all sorts of doors. You can find photos of their previous work, reviews, recommendations and ratings from clients, and contact information so you can speak directly to any Burlington door makers you find that you think can help with your project. You might find that your door suppliers or manufacturers can help with your window frames, garage doors or other contractor work, or they may be able to put you in touch with other professionals they work with regularly. Here are some related professionals and vendors to complement the work of doors: Cladding & Exterior Contractors, Garage Doors, Home Builders, Design & Build, Artists & Artisans. For external doors, it’s usually advisable to go for something durable and insulated. Composite door manufacturers in Burlington, VT will make doors from a number of materials, usually wood inside and a more protective outer layer, so they are versatile and well suited to being used as back or front doors. You can choose from stable doors, panel doors, half-glazed doors or doors with intricate stained glass panels, in all sorts of colours and stains, and, if well-fitted, your composite door will still stand up to any weather. It’s always advisable to talk to your local Burlington, VT door suppliers about the different materials, styles and types of doors on offer so they can tell you in more detail the advantages and suitability of all the doors you’re looking at. Door manufacturers can help with more than just your front door and internal doors - if you have a garden, there are a number of options for accessing it. Large glass doors can be really dramatic and bi-fold doors are a popular choice at the moment because they can completely disappear and open up a room to the outside. If you don’t quite have the budget to install bifold doors, patio doors or french doors can still bring in lots of light from your garden into your home. Talk to Burlington, VT door makers about what they think could work for your home renovation project. Why should I hire Burlington, VT door manufacturers or specialists? Find door suppliers and makers on Houzz. Look in the Professionals section of our website and search for Burlington, VT door manufacturers and suppliers. Read reviews, look at project photos and see how a door professional can help your Burlington, VT home improvement project.